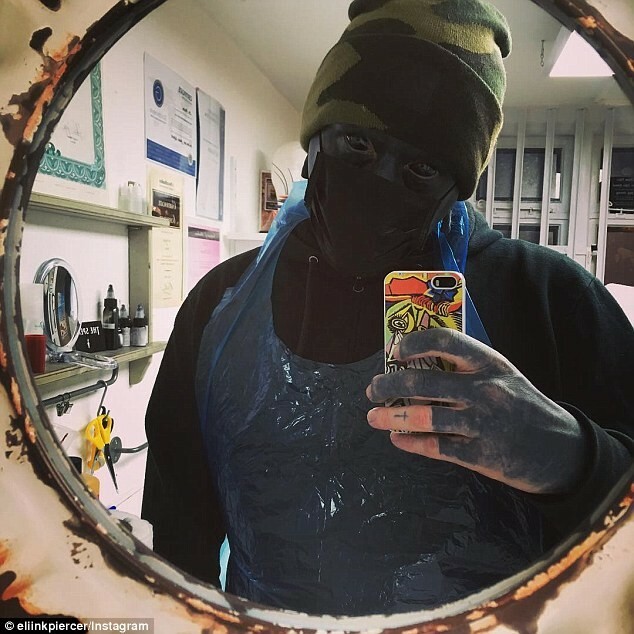 This is the story of Eli Ink, a 27-year-old tattoo artist from Brighton, England, who has spent 10-years tattooing his body black, including the inside of his mouth and his eyes. 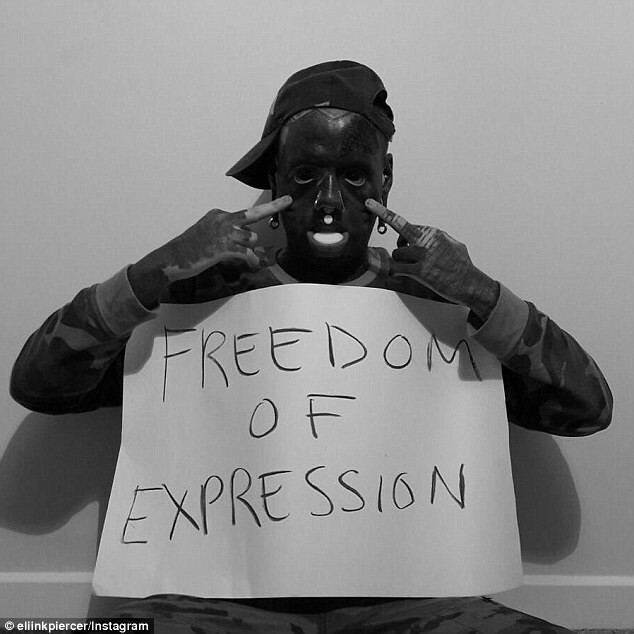 The young lad who calls himself a 'Body modification artist', has tattooed almost of his skin black with several coats of ink, dying his eyes and implanting stretchers in his nose and under his bottom lip. According to him, his obsession with body modification started from a young age after his uncle came back from Spain with a huge tribal tattoo. 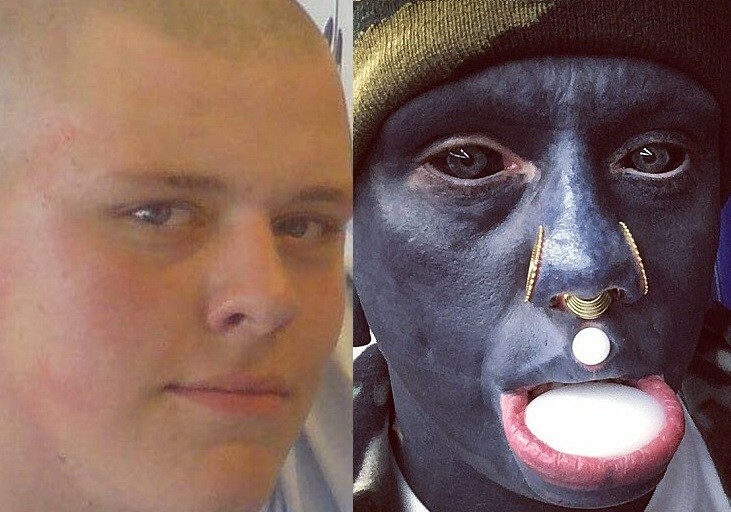 'I wanted to look like an abstract character in one of Picasso’s paintings. I love the abstract look, no thought , just pure expression,' he said. Ink's Eyeball tattooing involves injecting the ink in-between two layers of the Scleral of the eye and letting it spread out. 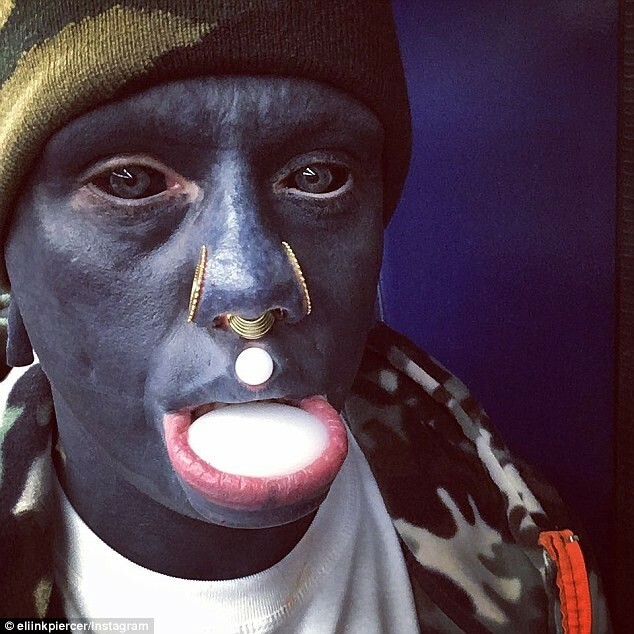 He also admitted that the process of body modification, can have disastrous results if it goes wrong. 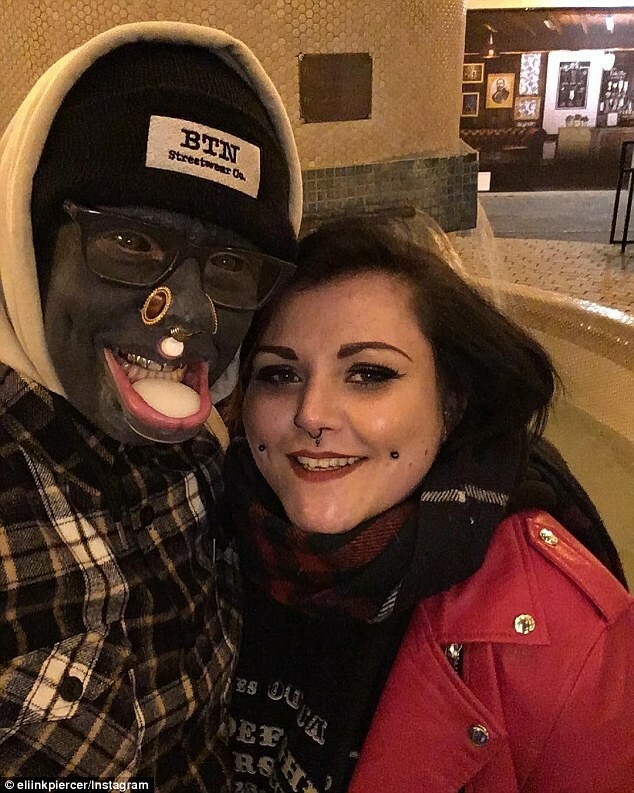 On his relationship, Eli also revealed that he has a girlfriend Holly, who is also part of the body-modification and they are madly in love. 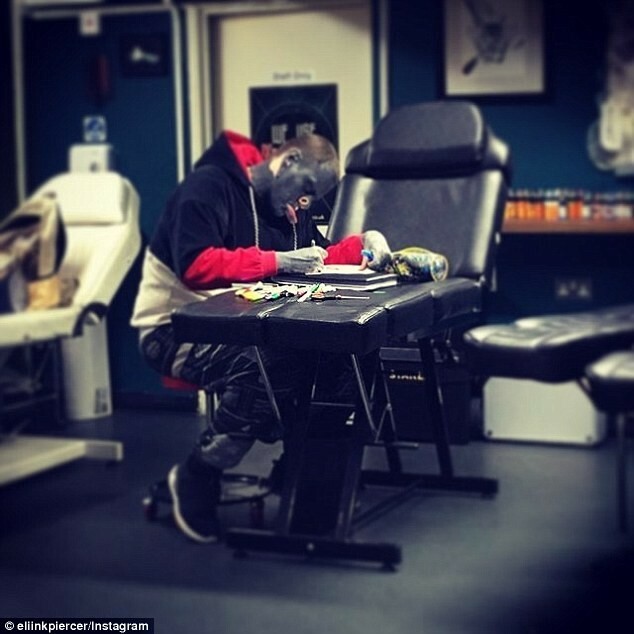 According to Mail Online, the British tattoo artist belongs to a subculture known as Modern Primitives who pay homage to the rites of passage in primitive cultures through their modifications and practices. ‘My work is not perfect, there is still room for improvement, everyone must start somewhere,’ he added. 'But this is all a state of mind. I don’t take much notice anymore,' he said.